Saving the warmups and cooldowns you use most with your clients. 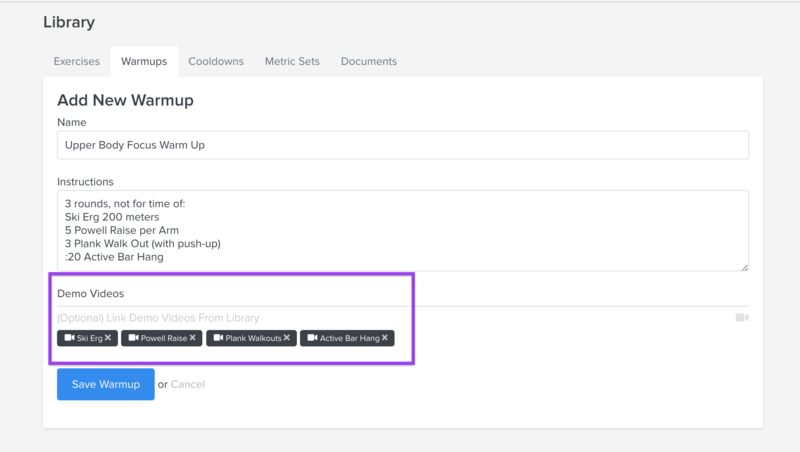 If you have some go-to warm ups and cooldowns, save these in your library to quickly add when building a workout. To get started, click Library > Warm Ups. You will be able to add demo videos and any specific instructions for both a warm up and a cool down. To assign the warm up or cool down, head to a client's workout calendar or Program builder and begin typing the name of the warm up in the warm up field of the workout. Once your pre-saved warm up appears, click on it to populate the instructions in the warm up field!